Glencadam whisky distillery is located in the eastern Highland whisky region of Scotland. One of only two surviving distilleries out of the 8 distilleries on the Scottish east coast between Aberdeen and Dundee. Situated north east, and less than a mile out, of the Brechin town centre. 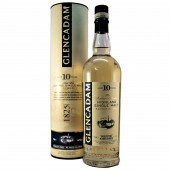 Glencadam (glen-ka-dam) distillery house style is a soft fruity creamy malt whisky. 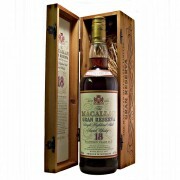 The use of finishing in port or sherry casks gives a rich fruity whisky. The Glencadam whisky distillery was founded in 1825 by George Cooper. Located in a steeply sided glen on the site of a previous illicit still. The next listed owner was David Scott 1827 until 1837. A progression of un-named owners followed. Alexander Miln Thompson becomes the owner in 1857. Five yeas later the Glencadam Distillery Company is established. At some point in 1891 the distillery was sold to the Glaswegian Blenders Gilmour, Thompson & Co. Ltd. Who used the malt whisky produced in their Royal Blend a favourite of King Edward VII. During 1954 the distillery was acquired by Hiram Walker & Sons Ltd, who consequently became part of Allied Domeq. They renovated the distillery in 1959. The distillery was mothballed by operators Allied Domeq due to over-production in 2000. However, the distiller purchased by Angus Dundee Distillers plc three years later. Although the distillery has had a high turnover in owners over the years, this seems to have indicated continued interest in working it. Certainly there were no lengthy periods during which Glencadam was out of production. The whisky produced is an important component of the blend Stewart’s ‘Cream of the barley’ and also Ballantine’s blends. 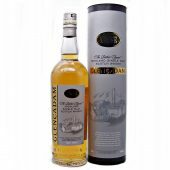 Glencadam single malts are soft fruity creamy in style. 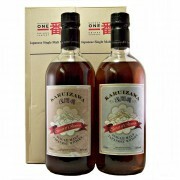 The whiskys that have been second matured in sherry casks are rich and fruity. Founded in 1825 by George Cooper. Location; Highlands region, Eastern district, Brechin. Water source; Unthank hills springs. 6 Stainless steel washbacks. Fermentation Time 52 hours. 1 pair of small pot stills with lyne arms inclined 15 degrees upwards. Matured in American oak Hogsheads, boubon casks and European sherry casks. The core range consists of the Glencadem Origin 1825 No Age Statement, 10 year, 15 year and 21 year old. Limited availability includes 17 year old port finish, 19 year old oloroso finish, 18 year and 25 year olds. Glencadam distillery tours by appointment only. The Glencadam distillery does not have a visitors centre However does offer tours strictly by appoinment only. Please contact the distillery to arrange a visit.